I didn’t realise how bad this budget ISP had got. My son is with them and has no dial tone on his landline and no internet. He’s just rang them to report the issue only to be informed that there is a 45 minute waiting time. Who is going to stay on hold that long? He’s just rang them to report the issue only to be informed that there is a 45 minute waiting time. I think it’s shocking. For now he’s put off calling them until he can get a shorter waiting period and is using the Wi-Fi of his kind neighbour. I’m not sure but I’ll pass on that link - thank you. He rang them just before you posted at 4:50pm and it was busy, and you're surprised by that? Wait times have increased, but they have a number of ways to contact them. If he wants an instant answer at peak from a UK rep he's probably gonna have to pay more than he does now. 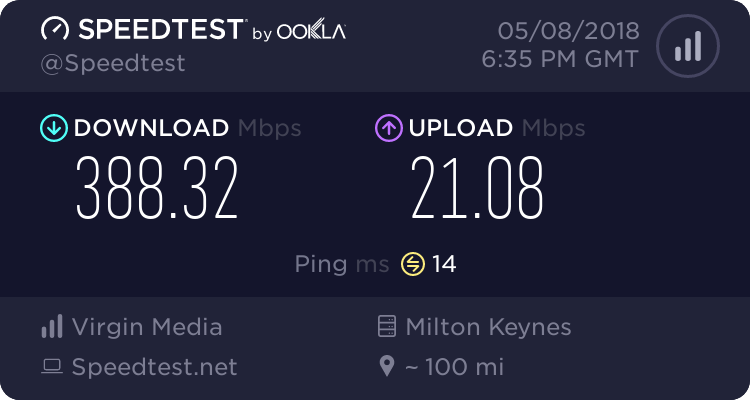 I switched to Plusnet in October and couldn't be happier. I've had to contact them twice about different queries and was answered within 5-10 mins both times. I didn't call at peak time. We all have different standards I suppose. I expect no queue at all off peak and your quoted 5-10 mins would be reasonable at peak. I would suggest calling first thing in the morning, they used to have a graph which showed the average call wait time over the course of the previous 24 hours but that seems to have been changed. Surprised that they were busy – no. Surprised that the estimated waiting time to talk to somebody was 45 minutes – yes. He is aware of this and as this is the second time in a matter of weeks that he’s had this problem, the difficulty contacting Plusnet and getting them to accept there is a problem without jumping through hoops he is considering changing provider. Thanks for the tips Ronski, I’ve no idea if he’s aware of that page but I’ll pass the link on. The call wait times are dreadful. They've been promising for years it would get better, but it never has. Agree it depends on what time of day you call. PN are going downfalls lately. I lost faith in PN now and can't wait to get out of this <deleted> company.